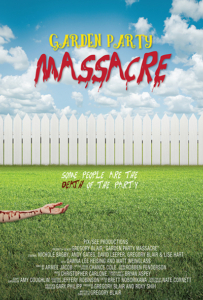 Director Gregory Blair (Deadly Revisions) and Pix See Productions have completed shooting for indie horror comedy Garden Party Massacre. The film is a blend of horror and comedy as seen in the film’s brand new, first, full length trailer. 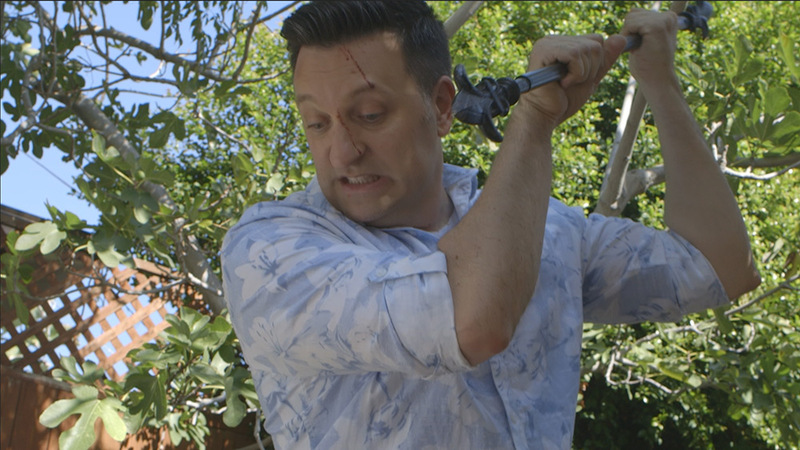 Fans can expect to see Garden Party Massacre at film festivals, soon, but, a closer look at this both bloody and hilarious feature is available now! The film begins with friends and a barbeque. But, in the vein of Shaun of the Dead (2004) and Tucker and Dale vs. Evil (2010), events take an unusually bloody turn. 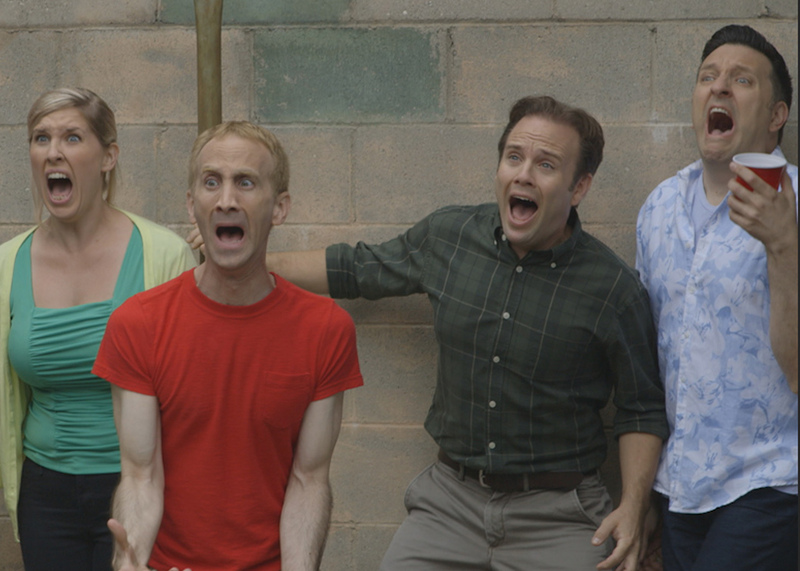 An uninvited guest tears his way through the get-together, with a pickax and a bad attitude. Thus, it becomes a killer party. Literally! Garden Party Massacre has already received its first review: a bona fide rave from Michael Haberfelner (Search My Trash) who declares it “a hilarious film!” Director Blair says of the film’s comedy: “I think horror easily lends itself to comedy because the emotions are so high and the situations are often outrageous.” The new trailer leaves no doubt: Garden Party Massacre promises a laugh a minute. The film stars Andy Gates (“Grimm”), Nichole Bagby (On the Rocks), Lise Hart (Deadly Revisions), Dawna Lee Heising (Samurai Avenger: Deadly Vengeance) Blair, himself, and a few genre favorite surprises. It is currently being submitted to film festivals and fans can contribute to the film’s festival run (see below). For now, horror and comedy film fans can enjoy the trailer. But you might just die lying. The official synopsis: The story is a fast-paced, wacky romp, telling the tale of a friendly backyard gathering that goes horribly awry when an unexpected guest arrives. With a pickax. And an attitude! Suddenly, it’s a killer party! Literally! Fans can donate to the Garden Party Massacre film festival run here; funds will go directly to the festival requested: and follow the film on social media on Facebook and Twitter.